chill or eat right away – enjoy! This recipe makes about (6) 1 cup servings with about 148 calories in each cup. 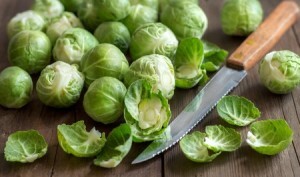 Brussels sprouts are low in calories, high in fiber but also provide you with 20 essential vitamins and minerals. A ½ cup serving provides 48.4 mg of vitamin C, an antioxidant, and 604 IU of vitamin A, which supports healthy eyesight. They provide more than a day’s worth of vitamin K for men and 91% for women – Vit K is important for the blood’s ability to clot and may help strengthen bones so good stuff to have enough of. It also contains tons of folate to bolster red blood cells and for women who are pregnant or planning to get pregnant as it helps prevent certain neural tube defects. Have I mentioned that it contains 247 mg of potassium, which can help regulate your blood pressure and fluid balance. But they are also a good source of fiber, vitamin E, most of the B complex of vitamins, iron, magnesium, phosphorus, zinc, copper, calcium, manganese and selenium. Brussels sprouts is a cruciferous vegetable, all of which contain compounds known as isothiocyanates, which help prevent cancer by promoting the elimination of potential carcinogens from the body. Isothiocyanates may also reduce your risk of heart attack. Man where have these things been all my life – oh ya, I hated them until I made these! 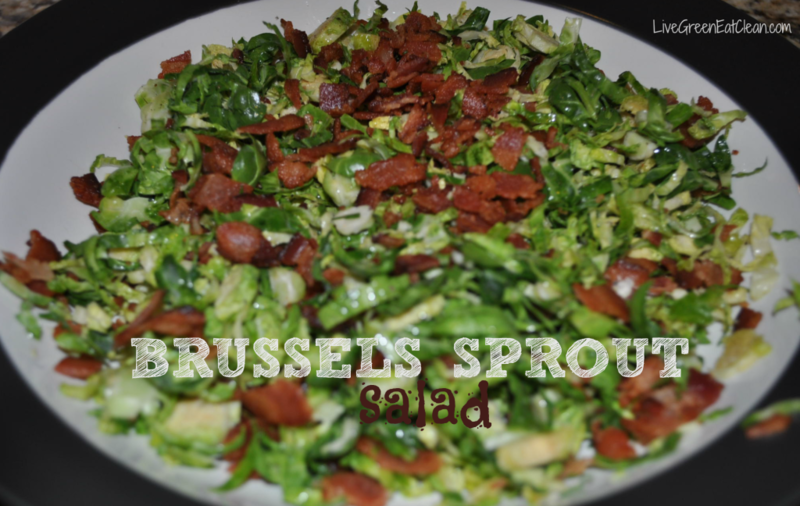 What is your favorite Brussels sprout recipe or way to eat? Comment below to share…. FREE recipes, tips and programs to create a HEALTHIER, SIMPLER & GREENER life! 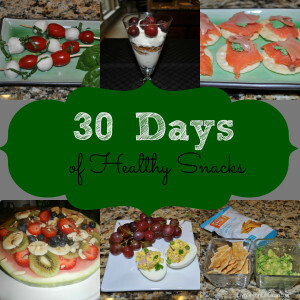 Plus, get my 30 Days of Healthy Snacks eBook! I have been eating pretty healthy for a while now, but typically get derailed by the end of the week due to being overwhelmed and under prepared. 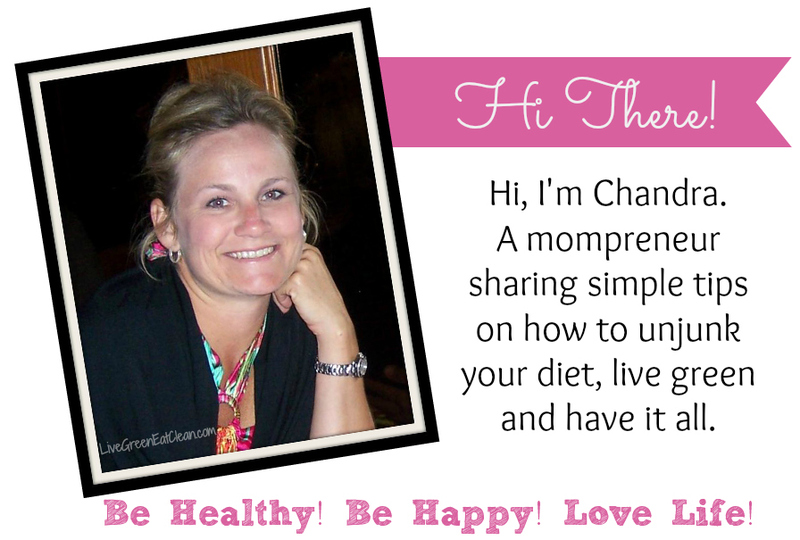 I was lucky enough to be chosen to test pilot the Unjunk Your Diet program for the last 3 weeks and I love it! I found that it was easy to follow, the meal organization tips helped me stay on track ALL week, the recipes are really delicious and simple to make, and as a side benefit I’ve lost 4 lbs!!! I thought I felt good before, but my energy is through the roof these day….woohoo!!! Vitalizer, vita-strip is my go-to for daily health. I’m a busy, working mom and it’s so nice to know my supplements will come right to my doorstep. Some days are so hectic that I don’t have time to cook a healthy meal or exercise, but I know I’ve done something great for my body by taking Vitalizer. I even took it as a prenatal vitamin (along with some extra B complex) knowing it was safe and healthy for my baby and myself. What an absolutely fun and educational class! My daughter loved getting to control her veggie selections but also have the opportunity to try things she hadn’t before. This class is an amazing perspective for kids to learn how to make healthy food choices. She loved it so much that she made it at home and was so proud to pick the ingredients. Thank you Chandra for making food fun! My daughter can’t wait for the next class! My 5 year old son loved the Healthy Hands cooking class and has told all of our family about how he got to cook “purple carrots.” He’s also telling them about all of the other veggies he tried and was so proud of his cooking skills he’s offered to cook for his grandparents the next time they are in town! I loved that he was willing to try several new vegetables and would definitely recommend Chef Chandra to any mom who wants her family to start eating healthy! This blog is meant to be a source of informative content about nutrition and health. None of the information on this site is intended to be medical advice. Instead, I hope you find this blog helpful as a learning tool and a thought-provoking information source. It should be noted that I do get paid a small commission for some of the products I talk about and link to from my blog. Your support keeps this blog running and is greatly appreciated. Switch Brands, Save $ and Simplify your Life!